I am so excited to report back that my little experiment was successful. When I first installed my Marley twists, I made a post stating that I would not wash my twists but clean my scalp with diluted ACV on a regular basis. The reason I chose to not wash my twists was to avoid shrinkage knotting and breakage, which all happen after removing extensions. Throughout the 4 week period that my extensions were kept in, I did not even use any water based product. I used Aloe Vera juice as the base for my spritz . Finally, people, I have found a holy grail for maintaining my hair in extensions. When I took my twists out yesterday, I did not have one single breakage. My hair was not matted together at the line between the new growth and the old hair. My hair was stretched as shown in the picture above. My hair was moist and supple, which rarely happens after my extensions are removed. Yes, our hair needs water hence the reason for using water to wash our extensions. However, no matter how much deep conditioning and regular conditioning our hair is pampered with in extensions, there is no certainty that every strand is getting the benefits of those well-meant healthy practices. When our hair is washed in extensions but not properly conditioned since we cannot really reach every strand, then we are bound to experience breakage from matting. I believe that the ACV was great in removing dirt and build-up from my scalp. I also believe that the absence of water in my spritz kept my hair stretched and conditioned. I used oil to seal a couple of times but found out that it was unnecessary. I did achieve my goal and will continue to use this method to maintain my hair in extensions. I am done with washing extensions as it does more harm to my hair than good. Please do what works for you. I am not here to mislead anyone. This method may not work for you. In fact, I have a video showing how to wash hair in extensions. If the traditional way of washing hair works for your hair in extensions, feel free to check out that video. I just personally believe that people with fine hair cannot join bandwagons. Our hair needs peculiar care. Good job! I never wash in extensions. I definitely need to try out some aloe vera juice though. I always feel like I'm not really moisturizing my hair well in extensions. I totally agree. I'm relaxed but the last time I did Marley twists, my hair was a mess when I took it down. I also decided not to wash or wet my hair while it is up. I've been using a braid spray only and from what I've seen when I've taken some out to redo them, this method is better for my hair. I am so glad to have witnesses. Hey sis, I wish I knew earlier. I usually moisturize my hair every two to three days. I use diluted Apple cider vinegar to clean my scalp since I exercise a few times a week. I use cotton pads to do this. I moisturize afterwards and seal with coconut oil. That's it. Make sure the ends of your own hair are moisturized and make sure your moisturizer is within the acidic pH range to keep your ends tangle free. 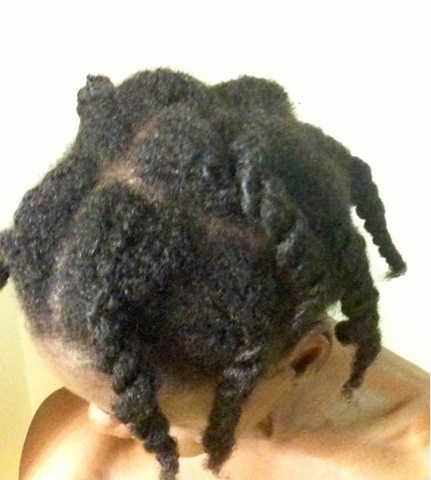 Will JBCO work as a moisturizer while wearing Marley Twists?